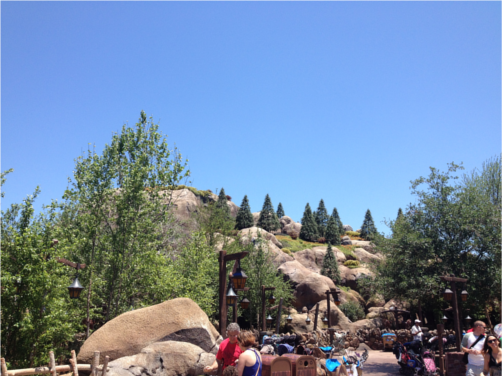 Opening at the end of May 2014 is the new Seven Dwarfs Mine runaway rollercoaster and it looks really good fun. We saw it being tested and the trucks were certainly travelling at a decent pace and our 8 year old seems very keen to give it a try. 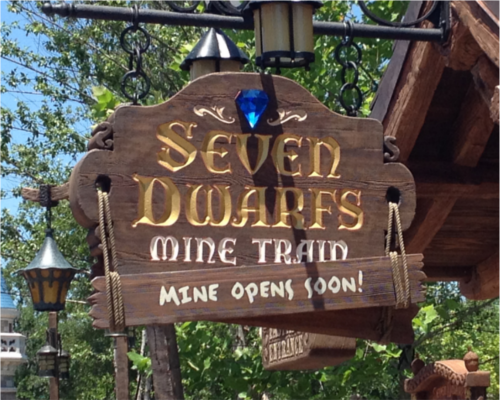 Obviously themed on Snow White and the Seven Dwarfs, you will board a mine cart and be able to travel around the dwarf's workplace albeit it at a pace that means you might not see everything first time round!! There are plenty of bends and twists but we suspect the drops will be very subtle as speed and g-forces look to be the key components of this ride. Once we have had a chance to ride it we will give you our opinion but to us it looks like it will be another great reason to pay a visit to the Mouse ! !